Teachers, lead from the front when it comes to technology! Professional development for teachers focuses on pedagogy and content and misses the critical point about the necessary technology connect with the students. In today's classroom, a teacher is usually hopelessly lost about the students' "techaptitude". Right from the toddler stage, today's children are exposed to a natural barrage of gadgets and technology all around them. Unfortunately, a teacher isn't in the same league due to an entirely different stage of life. Parents often face this dilemma and choose to stay aloof giving the excuse of being too occupied in their careers and home. Teachers, however, don't enjoy that luxury as they are expected to guide their students, and not be left behind. Adding to their woes, technology changes at a much faster pace than they can even begin to understand the current one. Newer apps, tools, games, gadgets and lack of time/interest make the job of keeping oneself updated even harder. I faced a similar situation myself when I used to teach at a test prep centre and then a K-12 school. 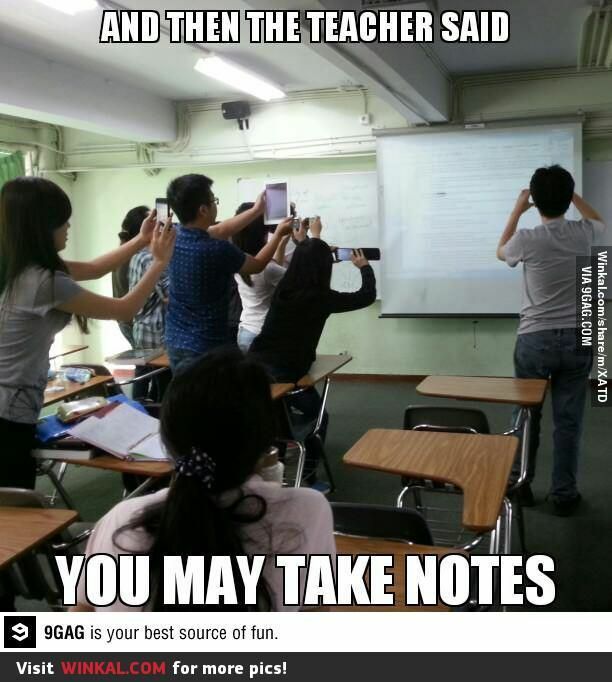 While I was teaching the class, I realized that my students were using their phones for twitter, instagram and other such sites. While they were quite observant in the class, their attention span reduced to a few minutes due to the constant inflow of information on their mobile. During the class break, I started interacting with them to understand their source of attraction. I would be lying if I said I wasn't drawn to some of these sites. So, I decided to dive in too and learn the new technologies and make my presence felt on these sites. I believe a teacher is far better geared to handle the "distractions"- probably due to the age factor and the intent. With an intent to be prepared and ahead of my students in understanding the tech tools of the times, I could now address the class with the trending hashtags and speak in their language. It generated an amused curiosity in my students about this old guy who was up-to-date with the trends of their age. In just a short time, I was now ahead of them because of my interest in "what was coming next" than "what was happening now". This was the beginning of a love affair that has lasted till date and I have been blessed to have an ever-unsaturated hunger to be ahead of the curve. It has helped me, as an edutech practitioner and learner, to connect with today's learners in more ways than the subject allows. I feel sympathetic towards those teachers who don't take the pain to adopt technology, or at least, understand it. They are probably not realizing that it is only a matter of time when their students' interest will wane out from the subject- not the least because of the teacher's subject knowledge! So, what do you do to upgrade? Simple, use technology to learn technology. Google for what you want to learn and you shall come across tens of sites and courses to help you jump in the bandwagon.